Children’s is launching a digital campaign of social sharing this holiday season with a video called “Share the Hope.” The video gives viewers an honest look into the lives of patients at Children’s. Share a message of hope with the patients who will be spending their holidays at Children’s. Online donations will also be accepted during this time, with the initial contribution coming from Verizon Foundation, who has pledged a gift of $3 per message up to $30,000. Messages will be accepted through December 31, 2012 and will be displayed on closed-circuit TVs throughout the hospital during the last two weeks of the year. 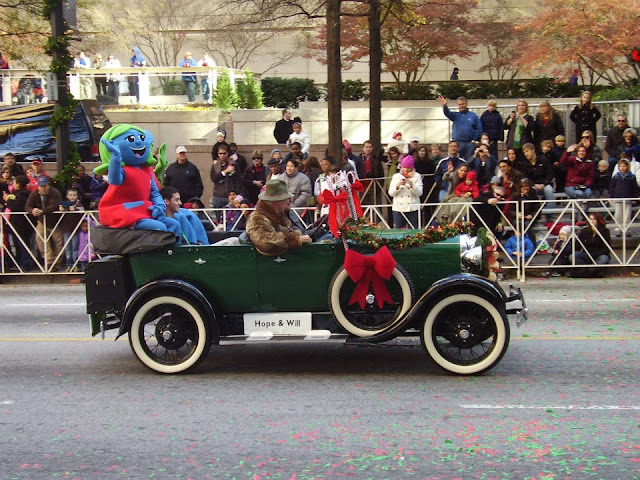 Bundle up your family and join us for the parade in downtown Atlanta from 10:30 a.m. to noon Saturday, Dec. 1. 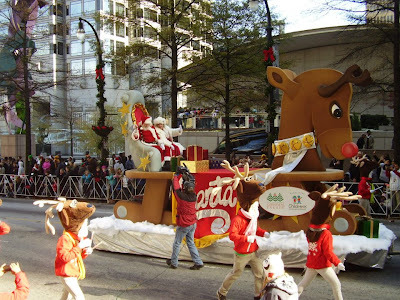 Watch from the sidewalk or purchase reserved bleacher seats for $15 at www.choa.org/paradebleachers. Coverage of the parade will be broadcast live on WSB-TV Channel 2 (ABC). Brighten Children’s at Egleston for the holidays by purchasing an ornament on the Grand Tree in honor of a patient, family member or caregiver. You can also sponsor one of the decorations in the hospital atrium and see your name or your company’s name on a plaque next to the display. Merry and Bright proceeds benefit the Ryan Seacrest Foundation in-hospital studio at Egleston, THE VOICE. Come ride Priscilla the Pink Pig through Sunday, Jan. 1, 2012, as she makes her way on train tracks through a life-size storybook. Tickets are $3 per ride and repeat rides are available at a discounted price. A portion of the proceeds from each ride will benefit Children’s Healthcare of Atlanta. To date, Macy’s has donated more than $400,000 to Children’s Healthcare of Atlanta. Purchase holiday greeting cards and e-cards featuring original artwork from children who have been treated at or inspired by Children’s. 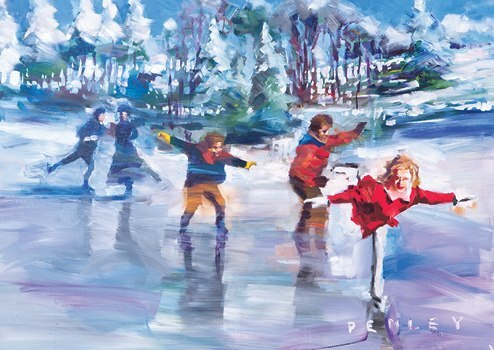 In addition to the child artists, popular Georgia artist Steve Penley created a card featuring ice skaters in a picturesque winter scene. Cards can be customized with your family’s greeting or company logo inside. Or order stylish cards from the popular online stationery retailer Tiny Prints, who will donate 15-20% of your purchase to Children’s Healthcare of Atlanta. This year’s Holiday Duck was designed by Monica Sandoval, a 16-year-old Aflac Cancer and Blood Disorders Center leukemia patient. These adorable plush ducks can be purchased online and at select Macy's locations—and net proceeds will benefit research at Aflac Cancer and Blood Disorders Center of Children’s. The quacking Holiday Duck comes in a 6-inch version for $10 and a 10-inch version for $15.